The ThermiSmooth procedure at Snyder Plastic Surgery at The Breast and Body Center in Austin, TX is a scalpel-free treatment that may minimize the appearance of fine lines and wrinkles around the neck, face, and body. The process works with radiofrequency technology that penetrates the deep layers of skin to stimulate the natural production process of collagen. This, in turn, enhances the condition of the skin and works to address problem areas. Considered a safe and efficient therapy, ThermiSmooth is suggested by plastic surgeon Dr. Ned Snyder since it doesn't require the downtime that's necessary for some of the surgical alternatives. After the therapy, you'll be ready to resume your usual daily routine. "I had an amazing experience with beautiful results - I couldn’t be happier with my breast augmentation results. Everyone that I met from my first consultation to my post follow up after surgery were extremely helpful and informative. Dr. Snyder himself is an amazing surgeon. My results are perfect and better than I ever could have imagined. I highly recommend him if you are thinking about this procedure. His PA, Jen was extremely helpful and informative as well. The facilities from Dr. Snyder’s office to the surgical site used were clean, beautiful and comfortable. I felt well taken care the entire time and am thrilled with my results." "Amazing! I felt so comfortable and certain with Dr. Snyder and his team from the very first appointment. Everyone in the office is friendly and genuine - they shared my excitement for the surgery. ALSO - the results!! I am BEYOND happy with how I look and feel! The entire process has been better than I could have ever imagined." "Amazing Experience, LOVE the Results! - Amazing from the first appointment! Everyone in the office is friendly, genuine, and knowledgeable. I felt comfortable right away and was given all the information I needed without getting overwhelmed. Dr. Snyder, Jen, and everyone else made me feel special and shared my excitement for the surgery! If I could give 6 stars I would. Thank you, thank you to the whole team!" "The attention to detail is excellent, response by staff when I call with an issue or question is prompt, explanations of procedures are thorough and extremely reassuring. I feel that I am being heard." "Everyone in the office has been amazing. They have made me feel so well taken care of." A great candidate for ThermiSmooth is any individual seeking to minimize the look of wrinkles or fine lines without needing to undergo an operation. ThermiSmooth may be used to help rejuvenate the skin on many areas of the body, which can include the upper hands, face, neck, knees, and chest. ThermiSmooth is ideal for those who display signs of aging or have light to medium skin laxity. Usually performed as an outpatient, in-office procedure, ThermiSmooth treatments generally take no more than an hour. A team member will indicate the area to be treated and start the process by gently shifting the handheld apparatus over your treatment areas. Most frequently, our patients describe the sensation of the therapy like a warm body or facial massage. For optimal effects, it's advised that you undergo 3 – 6 sessions set approximately two weeks apart. Following your procedure, you'll be ready to return to your usual daily routine; however, you should limit sunlight exposure for a while. 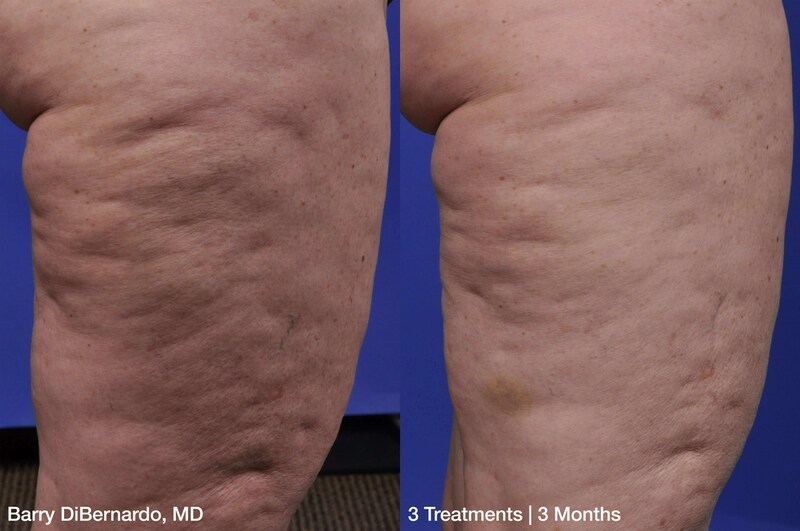 Without any scarring or incisions, you will usually see results in approximately 2 – 8 weeks, depending upon the region of the body that's treated. Results could last around two years, but repeat sessions are often required to maintain results. How much do ThermiSmooth treatments cost? There are many variables at play when calculating the cost of ThermiSmooth treatments at our office. For example, you may require multiple sessions in a series of treatments, have multiple areas of concern, or skin with different levels of severity. This will all affect the price range. Please contact our office for more information. I've lost a lot of weight. Will ThermiSmooth tighten up my facial skin? If you have loose skin on your face from weight loss, the skin elasticity is likely too severe to correct without surgery. The best way to see if you are a candidate for ThermiSmooth face treatments is to come in for a scheduled consultation. Dr. Snyder would be happy to discuss with you a strategy to get your skin looking healthy again. Will I eventually need a more invasive procedure? The ThermiSmooth technology will give you temporary results only. Even with plastic surgery in the future, your skin will continue to age, sag, and develop wrinkles. If you are looking for longer-lasting outcomes, you should discuss your concerns with Dr. Snyder during your consultation. He may have insight on what you can expect from this type of radiofrequency treatments versus other procedures. We may also make recommendations on how to obtain the results you want now instead of waiting until you are older. We want you to look as young and attractive as you feel. No. Some of our ThermiSmooth patients leave our office with a slight hint of red to their face or on the area of the body that was treated. The heat emitted will not burn your skin. In fact, there are many safety measures in place to protect your skin. You may feel slightly warmer shortly afterward, but there should be no pain to accompany the process. If you are interested in a minimally invasive treatment for your fine lines and wrinkles, ThermiSmooth could be the solution for you. Additionally, it can help you obtain smoother, tighter, and more youthful-appearing skin for most regions of the face and body by stimulating the production of collagen. To learn more, call Snyder Plastic Surgery at The Breast and Body Center to arrange your appointment.